The world’s first webcam was invented in the computer lab of Cambridge University more than 20 years ago. Metaphorically birthed from laziness, it allowed users to check coffee pot levels without getting up from their desks—so they don’t waste time walking to the ‘Trojan Room Coffee Pot’, a coffee machine located in a corridor outside the Trojan Room. It was created by then-computer science students Quentin Stafford-Fraser and Paul Jardetzky, and was pointed at the coffee pot to help students constantly keep an eye out for fresh coffee. 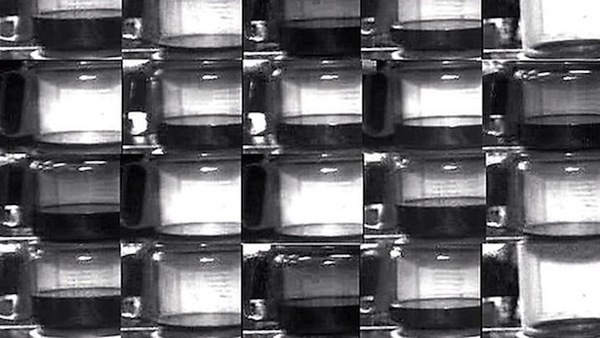 The camera captured 129x129-pixel grayscale pictures of the coffee pot at 1 frame per second. 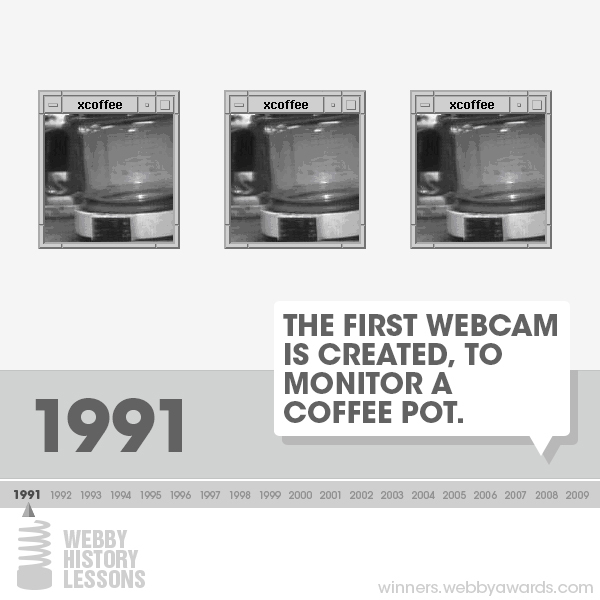 When the internet became popular, and the Trojan Room Coffee Pot webcam connected online, people all around the world started checking it. The camera was switched off in August 2001.